the material will "fall" into. Once the above is determined, a / S.D.S. (2015) can be developed. 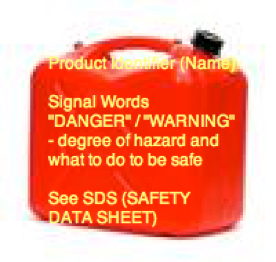 Two Signal Words are used in GHS and have been adopted by WHMIS 2015. These will be followed by a HAZARD STATEMENT of a few words describing the more critical RISK(S) involved. Note: The table below does not have to be memorized. It is for your reference to help better understand how the classification system is Grouped. A symbol (right) has no "frame or border" thus it is not a pictogram. A pictogram consists of a symbol with the frame or border" around it. A symbol is usually (not always) "inserted into" a border frame. For the purpose of this course, if we say "symbol" or "pictogram" we mean one and the same. Example: Acetone is more FLAMMABLE than a COMBUSTIBLE liquid such as Kerosene. DIVISION 2 Other TOXIC affects. DIVISION 3 BIOHAZARDOUS INFECTIOUS MATERIAL Materials which contain harmful micro-organisms. The above two pictograms replace the 1988 pictogram at left. 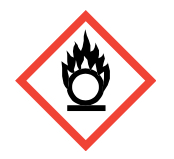 ABOVE: The 1988 WHMIS symbol / pictogram on left is no longer used. Note the two pictograms on the right. NOTE: The GHS system also defined an Environmental hazards group. This group (and its classes) was not adopted into WHMIS 2015. ... but, you may still see the environmental classes listed on labels and SDSs. 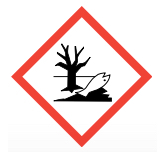 Including information about environmental hazards is allowed by WHMIS 2015.
for materials that can cause damage to the aquatic environment or the ozone layer. The GHS uses a pictogram that was NOT ADOPTED by WHIMS 2015- However it is quite possible that you may "come across" this pictogram from time to time. What pictogram is it? 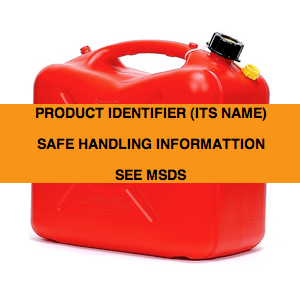 Some products do not require the WHMIS HAZARD LABELS and SYMBOLS because they are already regulated by other labeling legislation. (i.e. 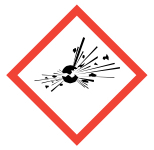 Pesticides, Explosives, and Radioactive Material are just some examples) Also, when any CONTROLLED PRODUCT is being transported, the legislation then is that of TRANSPORTATION OF DANGEROUS GOODS, even though, when the material (containers) arrive in a warehouse then they must be considered to be under WHMIS LEGISLATION. Some examples of workplaces and the Hazardous Materials employees may be working with. 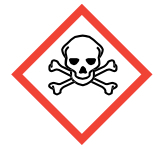 Make up a list of the hazardous materials that may be in your workplace - then, match these materials to the appropriate Class and/or Division and the actual Symbol. You may think of other controlled products that are in your place of employment. 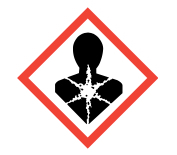 1988 WHMIS has a total of eight pictograms. How many does the new, WHMIS 2015 have? 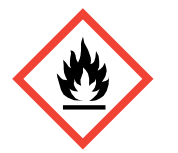 If a product "falls" under the DANGEROUS GOODS ACT are they also controlled by WHMIS?